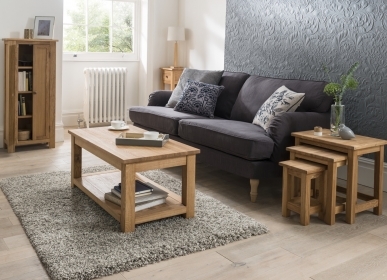 The MD Range: Chunky, cracked oak furniture with a dark lacquer. 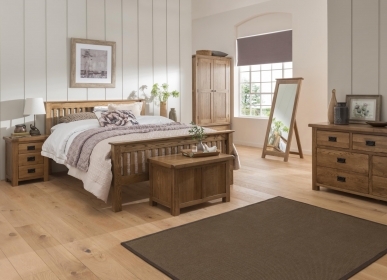 This range of chunky, industrial style, cracked oak furniture will give an understated, masculine feel to the dining room. 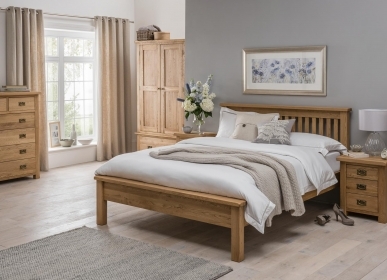 The furniture is hand finished with dark lacquer which enhances the natural grain of the oak. The aged, metal hardware on the edges of the pieces, along with the unique arches on some of the furniture in the MD range will add a stylish flair to any dining room. There are dining pieces available in the MD range.